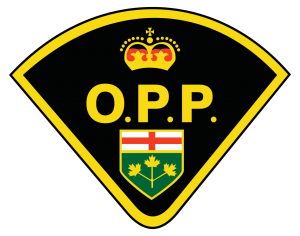 The East Algoma Ontario Provincial Police (OPP) want to ensure drivers stay safe during the upcoming snowy season while traveling on the roads. 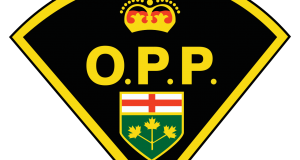 Provincial Constable James Walback, a Licensed Automotive Service Technician and a Certified Commercial Vehicle Safety Alliance Inspector, has experience working with tires. He says that a key part of road safety is making sure your vehicle has proper road surface traction in the winter. All-season tires don’t work the same on snow, ice or cold pavement. The stopping distance of a car with winter tires can be up to 30 to 40 percent shorter than one with all-season tires. The most important part of a winter tire is actually its rubber compound. This is designed to stay soft in freezing temperatures, and very effective for 7 degrees Celsius and below. The tread compound used in all-season tires offers little cold weather traction and becomes hard, losing pliability and traction in freezing temperatures. Winter (snow) tires, however, are designed to help deliver safety and control in snow, slush, rain, ice and cold weather.